Phasing a 2.6 million square-foot pavement project to minimize impacts to airfield operations is demanding enough. When the $80 million effort has to be spread out over 11 years in order to secure available funding, the job becomes even more sophisticated. 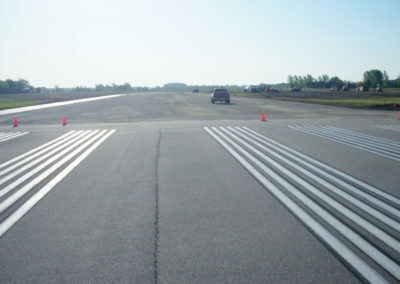 That was the challenge Crawford, Murphy & Tilly (CMT) faced on the 400 Ramp and Taxiway H Reconstruction project at Travis Air Force Base in California. By being flexible and deft, we were able to deliver the plans that met the client’s unique needs. 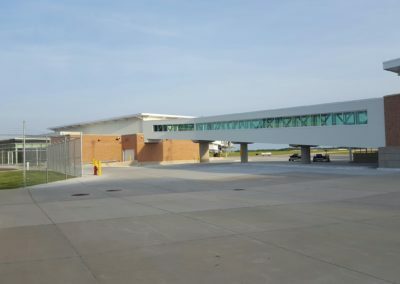 This project completely reconstructs the ramp – a 3200’ x 1000’ concrete apron configured to park eleven C-5A aircraft, complete with an in-pavement hydrant fueling system – along with the adjacent taxiway. The construction project will be funded using the Transportation Working Capital Fund (TWCF), which normally has about $6 million to $8 million available per year. Designers were asked to divide the project area into separate construction packages in this estimated range that could be bid independently each year. Different phasing approaches were evaluated to determine a solution that was both constructible and minimized impacts to aircraft operations moving around the construction area. 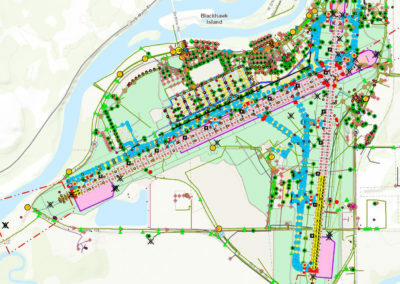 This resulted in dividing the project area into 11 different phases, each with an independent barricade layout plan, detailing haul routes and aircraft parking position impacts.